The story begins at various points of my life, but the purpose is simple: Help women make healthy decisions for their lives by bringing them closer to Christ and inspiring self-discovery. There are many things that brought me here – my own heartache, struggles with loneliness and insecurities, depression, and my challenging, yet triumphant, journey toward faith. What kept me here, though, is my longstanding desire to see women of color do better for themselves. DEAR QUEENS IS DEDICATED TO HELPING WOMEN MAKE HEALTHY DECISIONS, THROUGH THE USE OF PERSONAL NARRATIVE AND SPIRITUAL DEVELOPMENT. COMBINING THE PRACTICAL USE OF SPIRITUAL PRINCIPLES WITH THE ART OF STORYTELLING, DEAR QUEENS EMPOWERS WOMEN TOWARD Intentionality, purpose, and healthy decision-making. With narratives centered around spirituality, self-discovery, and worth + womanhood, I share personal stories to embolden women toward wholeness & self-love, encourage women toward intentionality, and align women with the source of all things: God. I CONNECT SELF-DISCOVERY & self-worth with SPIRITUALITY TO HELP WOMEN MAKE HEALTHY DECISIONS. DEAR QUEENS removes the intimidation and anxiety from decision-making by providing women with transparent narratives that promote worth, while instilling practical applications of spiritual principles to connect their spiritual journey to their humanity. FIRST THING’S FIRST: THE E IS SILENT. An avid blogger since high school, Zoe has been writing and chronicling her journey through life for over 10 years. With an educational and professional background in communications and public relations, Zoe uses her love for storytelling to cultivate change and create lasting impact. After beginning her spiritual journey in 2012, Zoe recognized a need for sisterhood and community among Christian women of color. While attributing much of her spiritual growth to God’s guidance and unwavering presence, she experienced (and understood) the plight of pursuing God alone. As a means for helping women who are new to the faith space, Zoe launched DEAR QUEENS. DEAR QUEENS WAS BORN WITH ZOE’S UNWAVERING PASSION FOR WRITING, AND HER THIRST TO HELP WOMEN MANIFEST THE LIFE GOD HAS DESTINED FOR THEM — by instilling spiritual principles and encouraging self-discovery & worth. 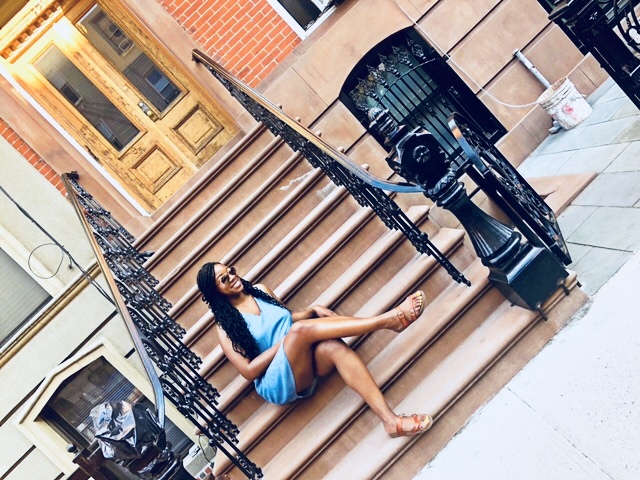 Zoe prides herself on educating women of color on holistic wellness – with an emphasis on spiritual development and its correlation to identity, self-worth, purpose, and decision-making. She connects self-discovery and spirituality to help women make healthy decisions in the name of wholeness and self-preservation. Zoe is a two-time Black Weblog Award winner and has been featured in various print and digital media outlets—most notably, xoNecole where she serves as a contributing writer to the site. With a focus on worth, purpose, and journeying, she has participated as a guest on various podcasts and panels, and has served as a keynote speaker and facilitator at events and workshops for women and young girls of color. When she’s not pursuing her passion by helping women make healthy decisions for their lives, Zoe is cooking, filling her wine glass to the brim, and tweeting about reality TV.